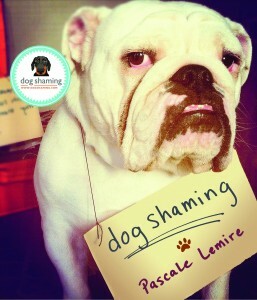 Dog Shaming has penned a book and calendar deal! Submit your pictures here to be considered! Watch your spelling on the sign because a mistake can disqualify your submission. As a side note, the Dog Shaming admins will be hard to reach for the first half of January because they’re getting hitched TO EACH OTHER!! Thanks for all your support, readership, and amazing submissions thus far! We wouldn’t be where we are now without you guys! Posted December 26th, 2012 . Love your sight. Keep up the good work! Do submissions for the calendar have to be submitted separately from submissions for the website, and if so, how? Congratulations to you both! Great stuff, keep sharing! Hey, HUGE congratulations to you both! Hope the Doxies behave themselves on your big day and don’t hijack proceedings. Enjoy this special time, and we look forward to seeing you back in the new year.